Do you teach French or German and are you looking for an opportunity to bring the language and culture closer to your students in an interactive way? The FGYO promotes the organization of trilateral exchange programs with Germany and France. Would you like to organize an international exchange for your students or trainees and give them the chance to get to know France and Germany better and improve their language skills? Whether it is at school, in professional training or in a university program, the FGYO funds exchange programs in many areas. You can set the thematic orientation together with the partner organizations or institutions in France and Germany. The FGYO supports you not only financially, but also helps you with organizational questions. Extensive documentation and helo for finding a French or German partner organization are at your disposal. The FGYO encourages international exchanges with France and Germany and intercultural learning by funding trilateral school exchanges. These can be carried out at the partners’ locations or at a third location, bringing together the participants around an exciting trilateral project. The linguistic and pedagogical preparation of the exchanges can also be funded. 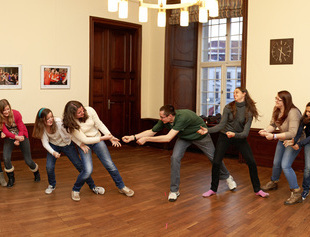 Would you like to organize a school exchange with partners from France and Germany? The Franco-German Youth Office (FGYO) has the right support for your project. Do you teach at a university, are you interested in Germany and France and would you like to organize an exchange in the context of a university seminar or project? 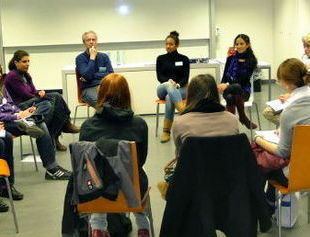 The FGYO supports short stays abroad and international seminars with an academic orientation in order to promote academic exchanges between Germany, France and third countries. These can take place at the location of one of the partners or in another place. Are you teaching at a faculty in Europe and interested in organizing a university exchange program or project with France and Germany? The FGYO funds science and research orientated seminars organized by universities to foster academic exchange. The FGYO supports you during the organization and execution of intercultural vocational meetings with partners from France and Germany. The goal is it to promote intercultural skills amongst trainees and the exchange between the vocational education sectors. These exchanges can take place at the location of one of the partners or in another place. Would you like to organize a project with partners from France and Germany, which is practice-oriented and goes beyond the framework of a classic school exchange? With Focus, the FGYO promotes projects of schools and associations which combine aspects and activities of formal and non-formal education. Innovative projects initiated by young people under 21 can also join the Young Europeans Award. Benefit from the advantages of formal and non-formal education through FOCUS.